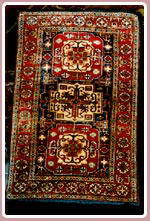 Kelar Carpets & Crafts - Kelar Carpets & Crafts, exclusive importers of Persian and oriental carpets, has become extremely successful in Pretoria. 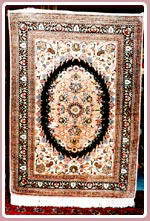 With each year it has become more and more popular, especially because of the wide selection of hand woven and unique Persian, Afghan and Pakistani carpets that it carries in its windows. Kelar Carpets is located in the Monument Park Shopping Centre, as well the company has now extended its service to the Pretoria East area with a second outlet in Glenfair Shopping Centre. To mark the occasion, owner Reza Miyar guarantees to better any written quotation by 20%. 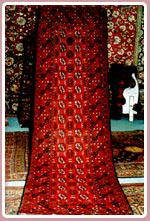 Reza Miyar is from the village called Kelar in northern Iran and is passionate about Persian carpets. That’s hardly surprising, because for generations his family has been involved in the production of the hand woven carpets and he travels all over the east to find carpets for his two shops. For someone like Reza, the biggest task is to educate the South African homeowner about the value of his carpets – both artistic and as an investment. 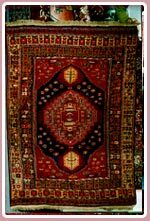 If you are considering buying a Persian or Oriental carpet take careful note of your other décor for the carpet must blend in with your other furnishings. 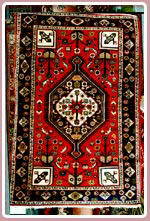 This is advice Reza is well-placed to give customers and he will even allow you to take the carpet home for a try out. 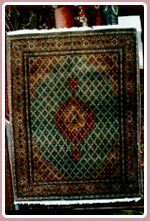 He also believes strongly in after sale services, which includes washing, cleaning, mending, re-darning and stretching of carpets. 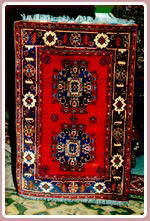 Each Oriental carpet is a testimony to the artistic integrity and commitment of the carpet weaver. 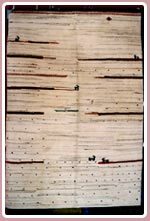 Oriental rugs are made on vertical looms strung with 3 to 24 warp (vertical) threads per cm of width. 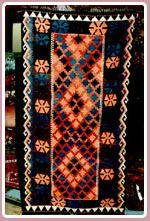 Working from bottom to top, the maker either weaves the rug with a flat surface or knots it for a pile texture. 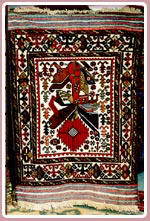 After the carpet is knotted, its pile is shared, and the warp threads at each end are tied into a fringe. 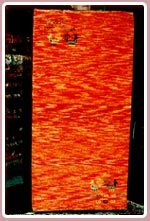 The finer the yarn and the closer the warp threads are strung together, the denser the weave and the finer the quality. 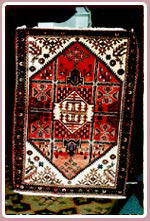 Valuable rugs have 62 or more knots per sq cm; coarse textured rugs may have fewer than eight per sq cm. 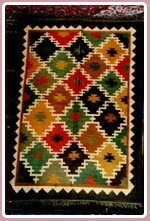 Colours and designs in Oriental carpets have a special meaning. 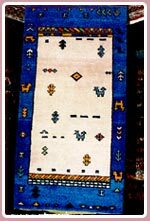 Arabesque scrolls covering the ground, gardenscapes, central medallions set against floral backgrounds and hunting scenes were common forerunners of today’s carpets. 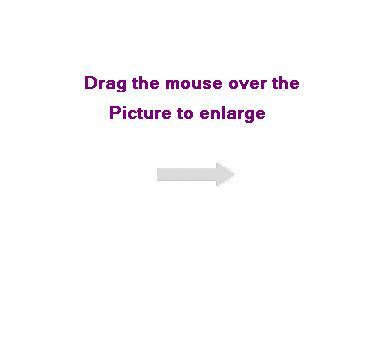 Distinctive features now include the sun, wheel, tree of life, the pear shaped figure (bitech), flowers of all kinds, animals, birds and insects. 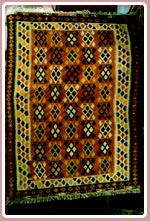 Early carpets were, for the most part, woven with silk and many were extremely large. 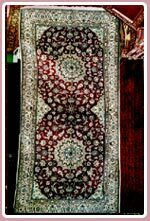 The most famous, more than five metres wide and 10 metres long, was woven in 1539 for the shrine of the Safavid Family at Ardabill. While you look at yours think that this one ended up displayed in London’s Victoria and Albert museum.